The first time you look at these Reebok Women's RB438 Golden Tan Non-Metallic Composite Toe ESD Hiking Tyak Boots, you'll probably see work boots. But the first time you wear them, you'll swear they're really comfortable athletic shoes. 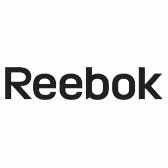 The truth is, these Reebok b ... (see full details) (see specifications) #RBKRB438. The first time you look at these Reebok Women's RB438 Golden Tan Non-Metallic Composite Toe ESD Hiking Tyak Boots, you'll probably see work boots. But the first time you wear them, you'll swear they're really comfortable athletic shoes. The truth is, these Reebok boots can perform however you need them to perform. In other words, wear them anywhere. Use the pull tabs at the back of these women's boots to get your feet down inside these mid-high, athletic-style hiking boots. Once you're inside, your feet will be surrounded with the soft comfort of nubuc leather. Nubuc has the touchable softness of suede, but the durable performance of full-grain leather. Full-grain leather is resistant to wear and abrasions. How tough is it? It's so tough it even resists bad weather. Full-grain is naturally repellent to wind and water. The only thing it doesn't repel is comfort. The leather of these slip-resistant boots moves and flexes and shifts as needed to conform comfortably with your steps. What's on the other side of that handsome golden tan nubuck leather of these ESD boots? Durable nylon mesh lining. Abrasion-resistant nylon may be lightweight, but it's tough, especially in these abrasion-resistant boots. The mesh construction releases heat, instead of holding it around your feet, to provide breathable comfort that keeps you dryer. Impact-absorbent polyurethane cushion inserts protect your feet from harmful impact to keep you more comfortable whiel you wear these composite toe boots. The F2A polyurethane inserts weigh less than rubber, but they absorb more force. Remove the inserts any time you like to clean them and get rid of bad odors. Shock eliminator heel cushioning is built right into the design to absorb impact right where your feet hit the ground the hardest. Built with aircom air comfort technology, these safety toe boots give you a firm foundation to keep your steps safe. The dual-density outsoles are made with soft EVA cushioning in the midsoles to keep the design lightweight and comforting. Wrap-around shank stabilizers are built into these leather boots to keep your arches lifted, preventing muscle strain and foot fatigue. Rubber bottoms keep the outsoles durable and gripping. Heel airbags in the soles give your steps a lightweight core of shock-resistance. When it all comes together, your steps practically repel impact. The soles of these oil-resistant boots are static-dissipative, so they don’t collect static energy that may harm sensitive electronics. These non-metallic boots are built with a dual-resistor system, which is sort of like a backup system that ensures these soles won’t collect static energy. Extra wide toes keep the fit comfortable, while XTR Brand composite toe caps keep it safe. Composite is lighter than steel, but just as protective. The toe caps are rated to meet ASTM F2413 safety standards to keep you safe against compression and impact. The entire design of this Reebok footwear is 100% non-metallic and security-friendly. Reebok Women's RB438 Golden Tan Non-Metallic ESD Safety Toe Boots have a lot of different features, and they can help your feet perform in a lot of different ways. I would definitely recommend this boot to others. They are as described and I find them to be very comfortable to wear all day. I have purchased from your company before not just for myself but for others in our company as well. I always receive positive feedback from others I have ordered boots for. The easy of the website and the order confirmations and shipment notifications are a added plus. The boots were very comfortable right when I put them on. The laces are stiff and you need to be careful when you're putting the boots on as the rear support can flip down internally and become fixed in the position making them instantly uncomfortable. I have worn the boots maybe 9 or 10 times now and the biggest problem I have is how loud they squeak. Sounds like a rubber boot walking on a wet surface. I am hoping this goes away but it hasn't seemed to get any better so far. I would have returned them but the comfort outweighs the noise for me (my co-workers probably wouldn't agree, noise drives them nuts). Reebok Boots: Women's RB438 Composite Toe ESD Slip-Resistant Hiking Boots is being added to your cart.